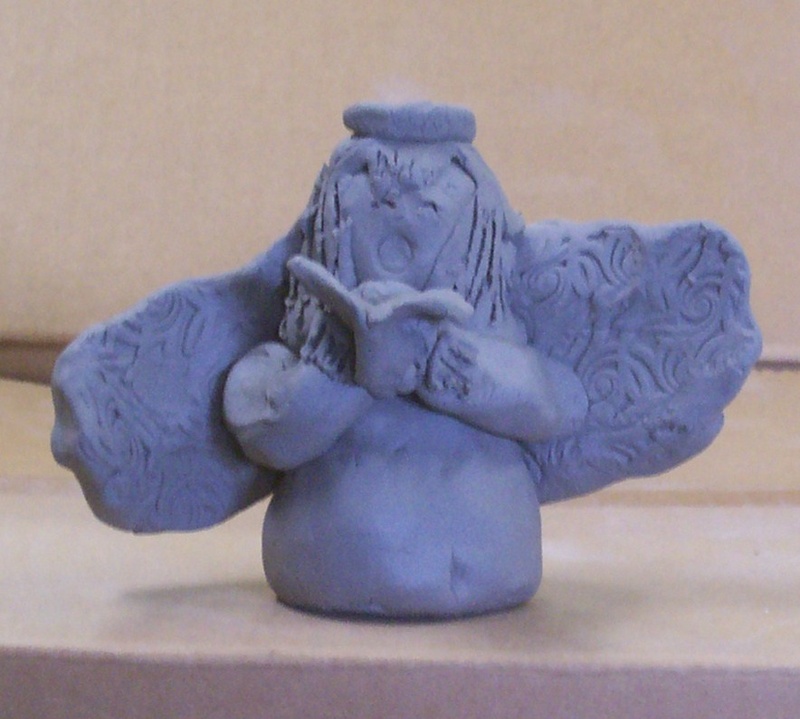 The studio was idle for several days as we prepared for the holidays (way too last minute!) and took time to reflect on 2009. The last year has been a bittersweet journey–mostly sweet, but some doors have closed. I won’t go down memory lane here, except to say the healing process has been a journey. However, I do see daily reminders that things that seem to be gone are not really so, just in a different realm. There are some life experiences for which you cannot prepare, and they change you forever. Already, I have seen the influence in my art. I haven’t forgotten that many very big windows opened in 2009, not the least of which was getting the studio operational and the gallery set up! These days I am plotting out some exciting activities for 2010, doing research for new projects, and sculpting like a fiend (can you say “long days in the studio and lots of hand cream at night?”). That’s part of the reason I have not been blogging as often as I’d like. So thank you for checking in! I promise, a lot is going on behind the scenes, including a couple of new works–the sculpture is almost done on one. It fits in beautifully with my People and Their Companion Animals body of work, but may be a surprise to those who know me. All I will say for now is, it’s been in my head, and I am thrilled it’s now out in the 3-D tangible clay version. 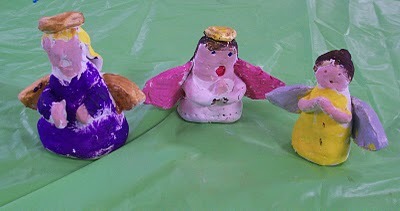 I the meantime, here are some angels for inspiration created by, Yes–2nd graders that I worked with just before the holidays. Can’t you just hear them singing?